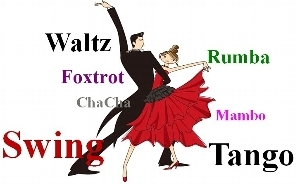 I want to purchase this gift of tango lessons for a Christmas gift for my boyfriend. I live in Balto and visit on weekends so the lessons need to be Saturday or Sunday. We are beginners. We are both in good health and shape and are in our 50's. Contact me through email only. For my husband(62 yrs old and myself (63 yrs old). Classes need to be evening about once a week. We took some lessons years ago. But haven't dance in quite a while. Need to learn to dance with son for his May 1st wedding. Looking for a class as a couple. Lessons would need to be in the evenings, maybe once a week. I want to feel comfortable on the dancefloor and try something new with my wife. We both don't dance. Would like to learn to Ballroom dance for my wife and me. Myself and a female friend have little to no experience in dancing. We are 21 and 22. Looking to mix things up and try something new and fun. I have rheumatoid arthritis and am trying to keep active. Looking for Hustle dance lessons! My girlfriend and I would like to learn to dance and are looking for a place that teaches one or more of the following dances on a Friday evening: Salsa, Rumba, Tango, Country Western, or Swing. We are getting married 10-08-11 thinking of a wedding song right now its a beattles song, but it changes need to advise and direction as to lessons in the area.